The Beast brings another season of jazz and hip hop to Sunday afternoons on the roof. No cover, open to the public. Now in its tenth year, The Beast is an innovative and electrifying hip hop and jazz ensemble, known for pushing creative boundaries and dynamic collaborations. Straight outta Durham, the cultural and entrepreneurial nexus of a new south, The Beast is a home-grown artistic force, mixing tap-dancers, puppeteers, and spoken word artists into its repertoire. 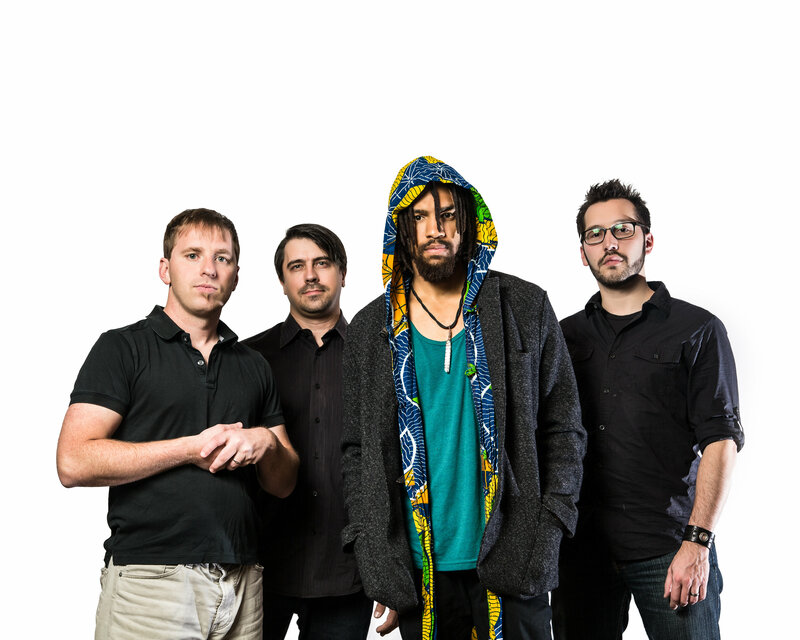 Comprised of professor, community organizer, and emcee Pierce Freelon, keyboardist Eric W Hirsh, drummer Stephen Coffman, and bassist Peter Kimosh, The Beast has thus far executed a Duke University-commissioned big band project, curated residencies at the North Carolina Museum of Art, and toured Panama as featured in a PBS web-series. The quartet is currently finishing its second full-length album with Philly-native producer/drummer Steve McKie (Bilal, Jill Scott, Musiq, et al).